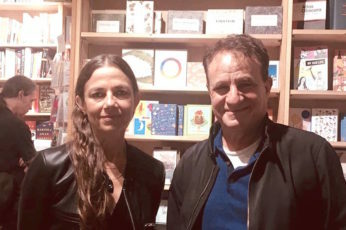 Justine Bateman, actress and director, author of “Fame: The Hijacking of Reality,” in conversation with host Richard Wolinsky. Justine Bateman jump-started her career at the age of sixteen with the role of Mallory in the hit television show “Family Ties.” She went on to other television shows, films and stage presentations before turning to directing and getting university degrees after she turned forty. Her book “Fame” details, from personal experience, what it’s like to be famous at an early age, how one deals with fame, and how a member of the public deals with a famous person. She details the ups and downs of fame, from the first time fans take notice to the later times, when nobody takes notice. Her latest projects involve film direction and creating content in new forms of media. Special thanks to Green Apple Books in San Francisco, where the interview was recorded.